Anne Paceo is the new face of French jazz. At the age of 26, she has swept many of the French Jazz Awards and was selected to play in New York in first part of the Liberation Music Orchestra with Charlie Haden (who stated: "She impressed me immensely with her talent, musicality, proficiency and her dedication to her art form. As founder of the Jazz Program at the California institute of the arts, I have the opportunity to teach many musicians from around the world. And I can easily say she is on the top percentile of the musicians I teach. Her distinct style and sound make her unique.") In 2010, she joined the European Youth Orchestra. She recorded two albums with her "Triphase" trio, while playing as a sideman with Christian Escoudé, Rhoda Scott, China Moses, Bloody Mary, Dan Tepfer, Raphael Imbert, Alain Jean Marie, Stephane Kochoyan. 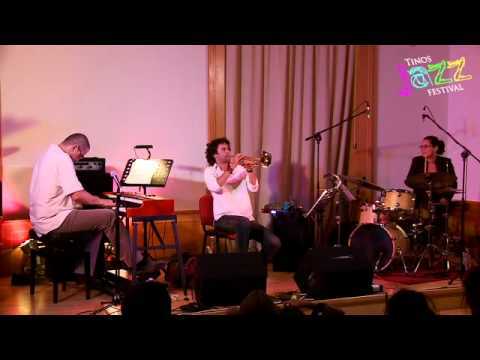 She’ll be performing at the Tinos Jazz Festival 2011 with George Kontrafouris, who has developed a very personal "language" in the way it handles the Hammond, and trumpeter Andreas Polyzogopoulos - the PolyQuartet’s central figure -, who was also selected for the European Youth Orchestra in 2010.